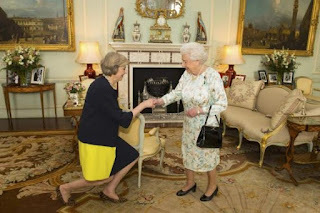 Speaking outside Number 10 after being officially appointed, the new Prime Minister, 59, promised to build a better Britain that works for more than the "privileged few" as she arrived at her new Downing Street home. "The Government I lead will be driven not by the interests of the privileged few but by yours. We will do everything we can to give you more control over your lives." she said.